Local Store Marketing Watch is a new post feature were we highlight interesting local store marketing news and related articles from around the web. Our first post features an article written by Jack Neff over at Ad Age about Walmart’s new local store marketing facebook strategy. An interesting read that we thought was worth sharing. Walmart is launching a Facebook app that customizes marketing for each of its nearly 3,600 U.S. stores, allowing tailored communications about local deals, events or limited-distribution products. Eventually, Walmart also hopes to use the My Local Walmart app to grow its site-to-store e-commerce program and evolve it into an individualized marketing program, said Stephen Quinn, chief marketing officer for Walmart U.S., in a telephone press conference. But for now, the focus is “to allow us to make our stores relevant locally at scale,” he said. 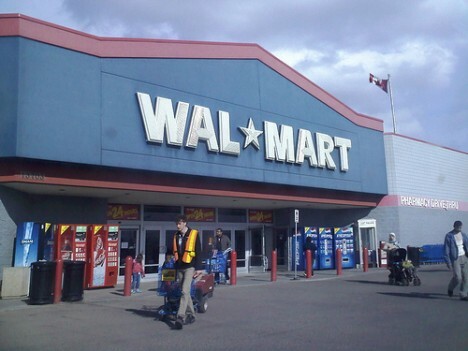 He declined to disclose financial considerations or exactly how Walmart will promote the app, but he said it would likely draw on the giant retailer’s traditional media mix, including in stores. He also said the partnership includes an unspecified amount of advertising with Facebook. The deal brings together two of the biggest institutions in U.S. marketing — Walmart, which gets about 150 million shoppers monthly, and Facebook, with 165 million U.S. users. The overlap is huge, but it’s centered on Walmart’s 9.4 million Facebook fans. So, at least for now, Mr. Quinn doesn’t foresee the app displacing circulars it distributes via newspapers or direct mail or the local radio advertising it does around such events as Halloween.